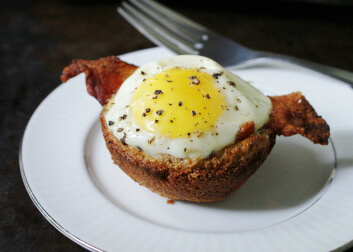 Bacon, Egg and Toast Cups transform a traditional breakfast into a bite-sized breakfast muffin. You will love these cute cups for breakfast or brunch! Breakfast can be boring. There's not a whole lot of fun in a bowl of cereal if you ask me. I mean, the kids are okay with it, but not me. If I'm having breakfast I want with a little pizazz. 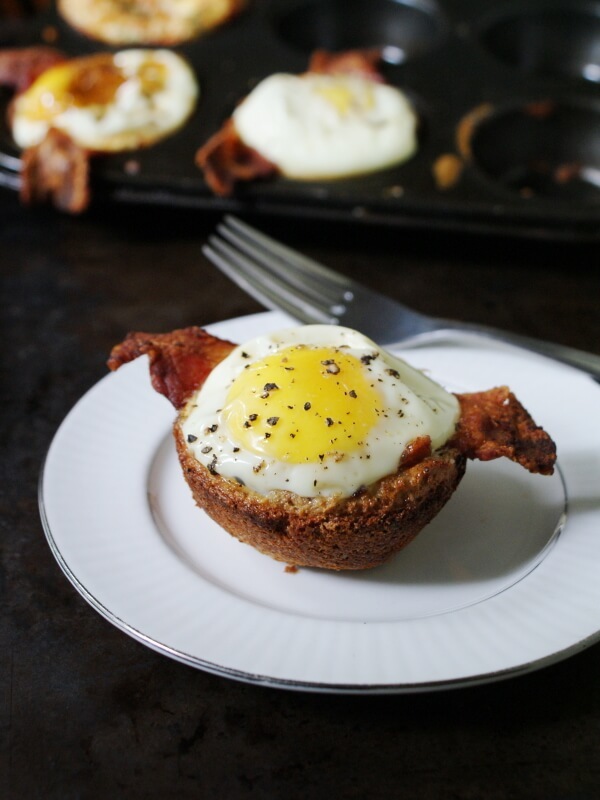 These Bacon, Egg, and Toast Cups will make breakfast something to talk about! Sometimes it's fun to mix it up with something creative and different, don't you think? Muffin tins do the trick for this recipe! Don't you just love muffin tins? They're for more than just muffins! You can cook so many things into cute little muffin shape. You won't believe how easy it is to transform your traditional bacon and eggs into breakfast muffins. Because this recipe makes 12 muffins, they are the perfect choice for a big family breakfast or a brunch party. Impress your brunch guests (or even your kids!) with these creative little beauties! 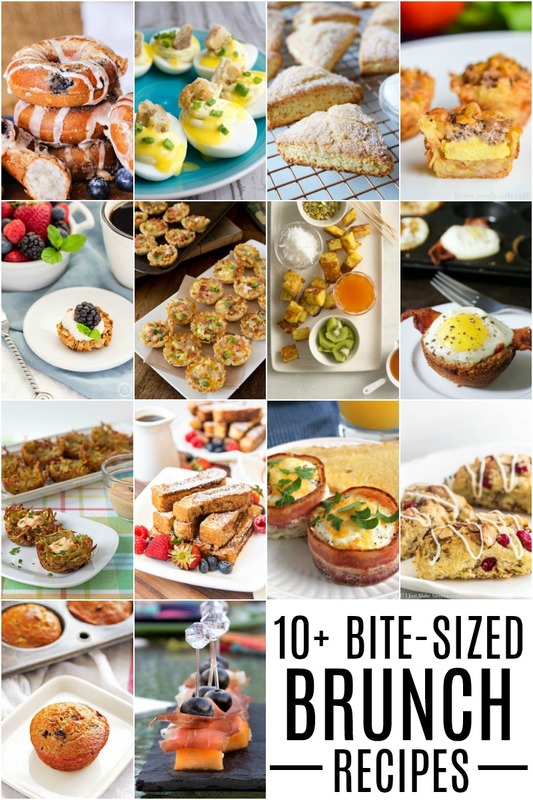 Bacon, Egg and Toast Cups transform a traditional breakfast into bite-sized breakfast muffin. You will love these cute cups for breakfast or brunch! 2. Use a rolling pin to flatten your slices of bread, then cut them into large rounds. (I used a circular cookie cutter to do this.) Put one slice of bread into each muffin cup and press it around the edges of the tin so it makes a little cup. 3. In a large skillet, cook the bacon until almost crispy, but still pliable. Drain on a paper towel-lined plate. When cool enough to handle, place one slice of bacon into each cup. 4. Gently crack an egg into each cup and season with salt and pepper. 5. Bake in preheated oven for 20-25 minutes, or just until the eggs whites are set. Use a plastic knife to loosen the cups from the pan and serve immediately. This recipe uses a 12-cup muffin tin. If you are using a smaller tin, scale ingredients accordingly. Make sure your bread slices come at least to the top of the cups. A little taller than the cups is best to make sure the eggs don't spill out. Author: Becky Tarala. Adapted from a Martha Stewart recipe. Looks like a great brunch idea!! This is such a creative breakfast dish! My kids and fam would ADORE this recipe!! Great adaptation. Always a great little breakfast bite!